Modernising technology architecture and talent amplification are the two biggest macro challenges facing brands looking to make experience the cornerstone of their corporate strategy, Adobe’s executive VP of digital marketing, Brad Rencher, says. Speaking on day one of the Adobe Summit in Las Vegas, Rencher said it’s more important than ever for organisations to make experience their business. He highlighted several fresh findings from Adobe’s latest research into the business impact of investing in experience, conducted in partnership with Forrester Consulting, which found experience business leaders have 36 per cent higher revenue growth than their peers, and 1.6 times the brand awareness. In addition, experience leaders have 1.9 times the return on ad spend, 1.7X customer retention, 1.6X customer satisfaction rates, 1.6X customer lifetime value and 1.9X average order value. Importantly, they also had 1.5X higher employee satisfaction, Rencher said. Modernising technology stands and ends with consumer, Rencher said. And to do that, organisations need to build a common view of the customer. Adobe is positioning Adobe’s Experience Cloud as the key experience system of record required to bring data and content together, announcing several solution enhancements and a raft of integrations across the different cloud offerings sitting within its portfolio including a new unified Experience Profile record of customers. Rencher noted organisations have previously turned to legacy technologies such as ERP and CRM systems as centralised information sources. Rencher outlined key pillars of an experience system that must be addressed. At the start is establishing a data pipeline to centralise all data about the customer across systems. The second step is turning data into “semantics and control”, Rencher said. The problem today is the same customer is referenced as a ‘member’ in a loyalty customer record, a ‘visitor’ in Web analytics, and a ‘cookie’ in an ad server. Machine learning then supplies the scalability and framework for undertaken initiatives such as customer scoring, customer analytics and journey prediction, Rencher explained. “These are the fundamentals of experience business. And this is where a unified profile comes in,” he said. From there, the goal is more informed action. Action requires content, Rencher continued, noting the need for organisations to have a content pipeline and content workflow engine in order to engage customers effectively. This mentality requires staff to be customer obsessed, whatever part of the organisation they work in, and change agitators, Rencher said. It also means empowering staff through technology. Employee engagement was a cornerstone of Tourism Australia’s digital and data transformation, its managing director, John O’Sullivan, said, who noted 80 per cent of his marketing team has access to Adobe Analytics, from executive-level to relevant interns. The other aspect of talent management was the cultural journey to become experience-led. Two cultural values are important here, O’Sullivan said: Being commercial; and being innovative. “The final part is partners and how we work. For example, we’re working with our airline partners, and are focused on sharing data to make experiences a lot more enhanced,” he said. For its part, Adobe is also extending its focus to the talent challenge and this week took the wrappers off its new Experience League, which provides both guided learning and community-based interactions to improve knowledge around Adobe’s technology. Features include the ability to assess current capabilities, develop a plan for learning and includes ‘Community’, an environment to learn from peers and Adobe experts. Rencher said there are 100 step-by-step learning guides encompassing on-demand video, best practice guides, knowledge base. The League appears the vendor’s answer to rival Saleforce’s MyTrailhead education program, a vital element in the way Salesforce is building out advocacy and loyalty for its own rival experience technology offerings. 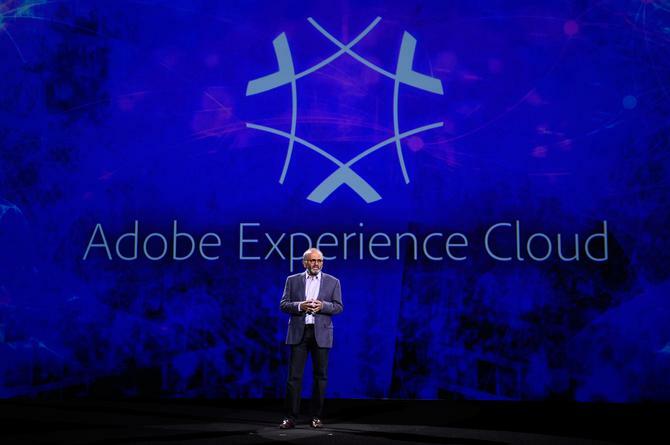 Adobe long-term ambition on the technology front, meanwhile, is to make its Experience Cloud the experience system hub, by bringing together data and content into one engine. Adobe of course is not alone in this desire to be the experience platform of choice, coming up against enterprise rivals, Salesforce, Oracle and IBM, who are all also repositioning their offerings around experience orchestration and bringing AI and data into the heart of how this is achieved. During his presentation on day one, Adobe president and CEO, Shantanu Narayen, highlighted four areas the vendor is investing in to compete. The first is the issue of taxonomy, or what he called the “language of the enterprise”. “We need to work to define a unified customer profile and common taxonomy to make seamless across every system in the enterprise,” he said. The second component is building a common Adobe Cloud platform bringing all data and content together, Narayen said. Thirdly, Adobe Sensei, the vendor’s machine learning engine, is being integrated into all cloud offerings in order to help users leverage the data transactions and advance how AI understands customer journey for better recommendations. Fourth on the list is building an open ecosystem. Narayen pointed out “no platform is an island”. “We’re opening our platform to our partners, systems integrators and media agencies to have a never-ending ecosystem,” he said.